In 2011, I made the trip to Malaysia after my term living in Thailand was over. 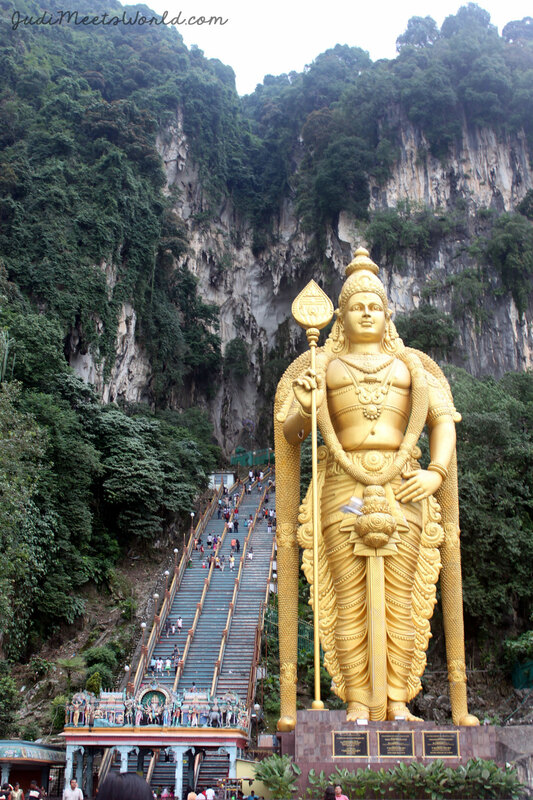 One of my recommended must-see spots is in Selangor, Malaysia – the Batu Caves! 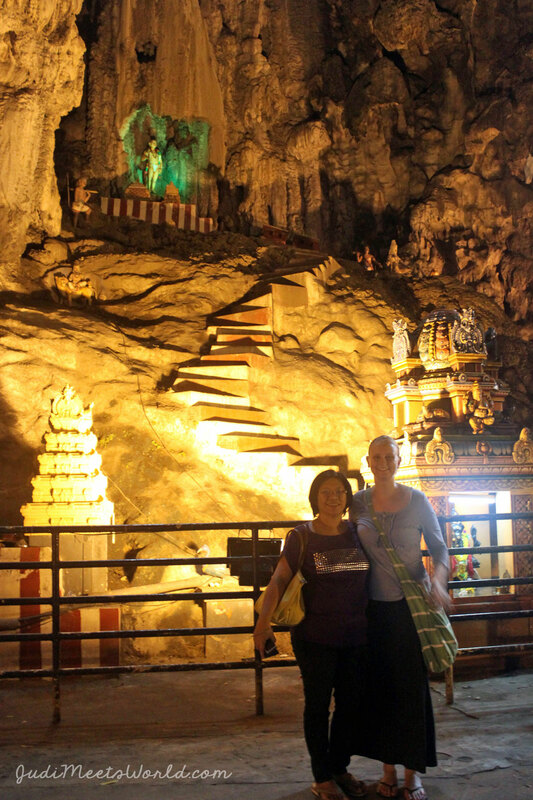 These limestone caves are a Hindu temple and shrine. So as much as this is a tourist site, remember that this is also a place of worship. Dress appropriately and ensure that you are being respectful. Be prepared to climb! 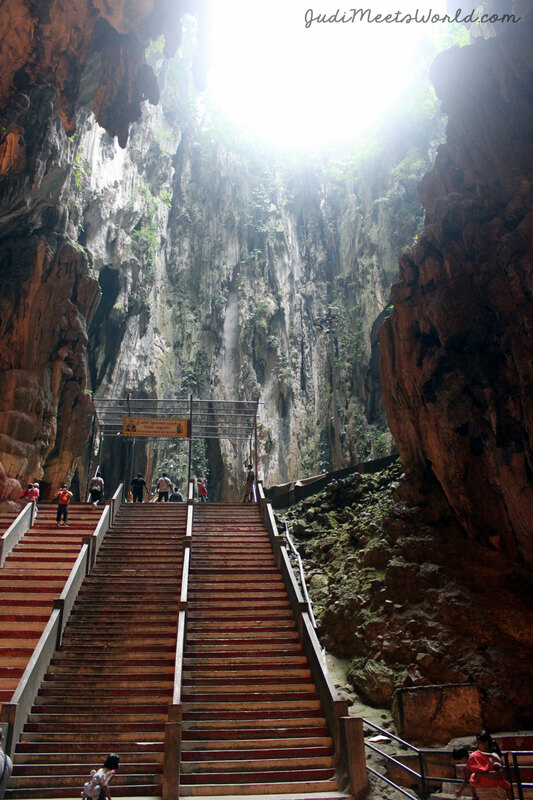 The caves rest at 100m above sea level and consist of 272 steep steps. Wear proper footwear and be careful! 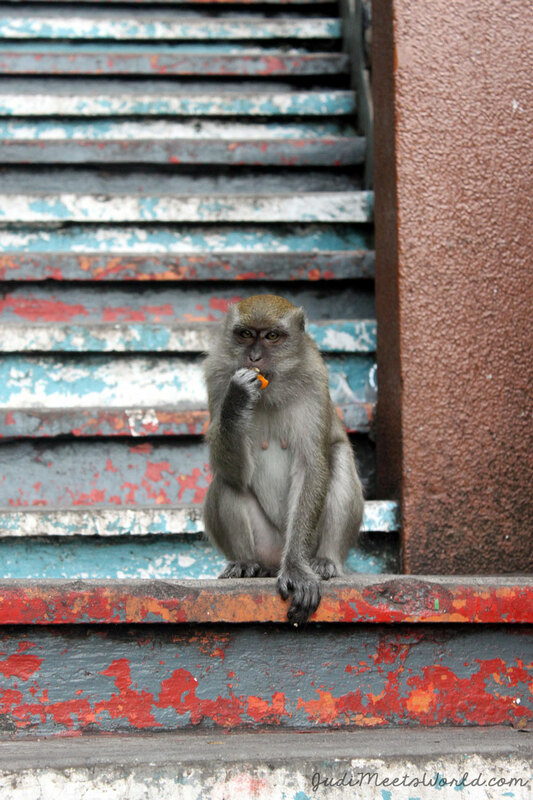 Monkeys wander the caves freely. Although they are adorable, keep your valuables close. Also, don’t bring visible snacks. Being a Hindu place of worship, festivals and holidays mean that certain days will be busier. In addition to the usual tourists, festival-goers visit to worship and celebrate. If you’re looking for a not-so-crowded day to visit, consider avoiding Hindu holidays. 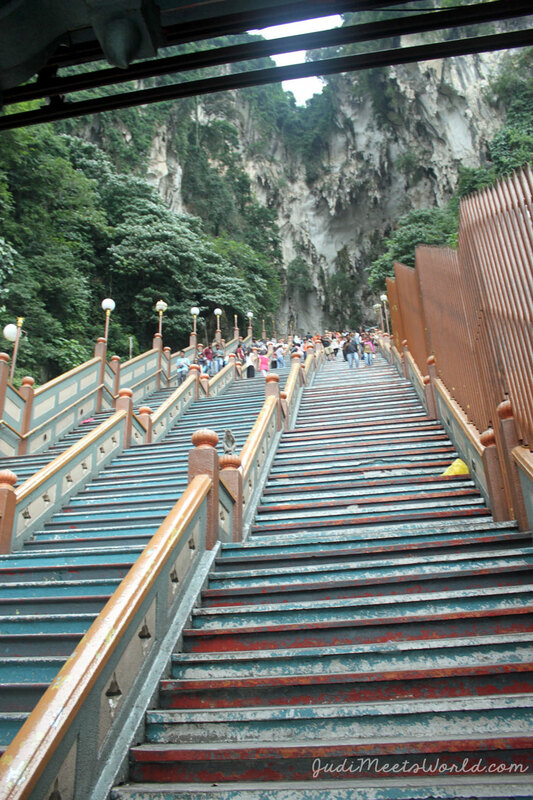 These steps are no joke! If you want to do cardio on vacation, this is the place to be! 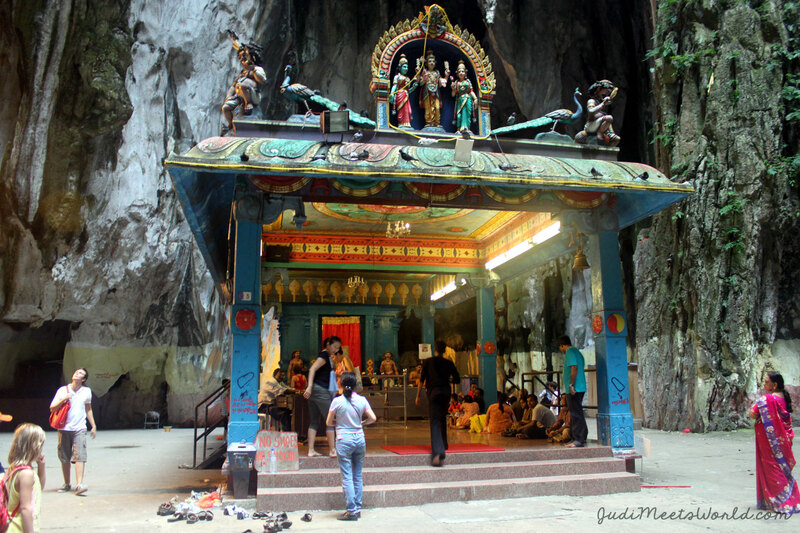 Rock climbing courses also surround the outside of the Batu Caves. These packages educate tourists and locals about the rock formations and the art of rock climbing. Take your time, and bring a water bottle to hydrate once you reach the top. Even more seasoned, active folks are challenged by the humidity and heat mid-day. Stay hydrated and take your time! Organized Tour – Viator: Our group of 3 chose a Viator tour which has advantages and disadvantages. On the plus side, it’s a private vehicle and the driver took us to great photo spots that we were interested in. Extra stops are a disadvantage – drivers get commission off our purchases at the extra shops we’re brought to. Made for a longer day than necessary, but this also happens on bigger tours as well with other companies. Car or Taxi: For those comfortable with driving with an international licence, this is your best bet. Taxis will also take you there, but can add up if you’re coming from central Kuala Lumpur. KTM Komuter: Train service that connects KL Sentral to the Batu Caves. Quick and painless. 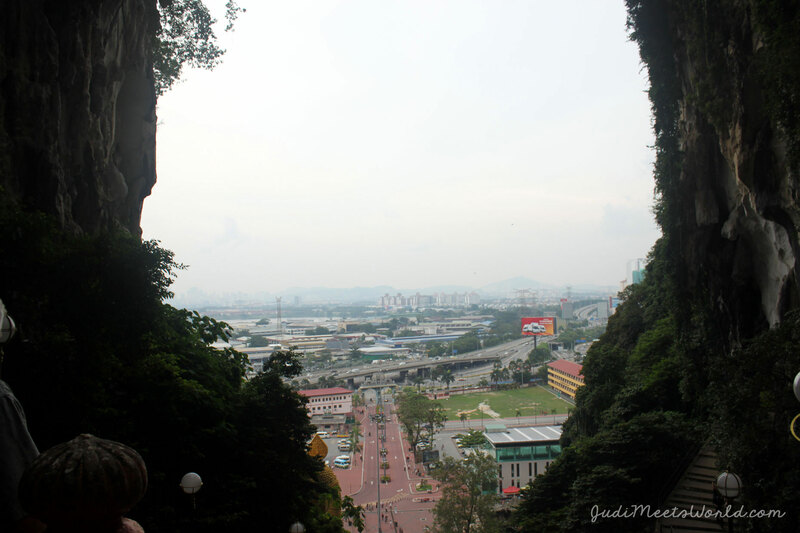 Monorail and Bus: From KL Sentral, you can hop on a monorail to Titiwangsa Station, then catch a bus to the Batu Caves. The view from the top of the caves is breathtaking and the temples found within the labyrinth of caves and crevices are so detailed and colourful, often having spotlights on them in the dark and almost eerie atmosphere. There were times I had to just process the fact that I was in a cave close to the top of this limestone mountain. Unreal! Stunning, awe-inspiring, and a place of worship and wonder. 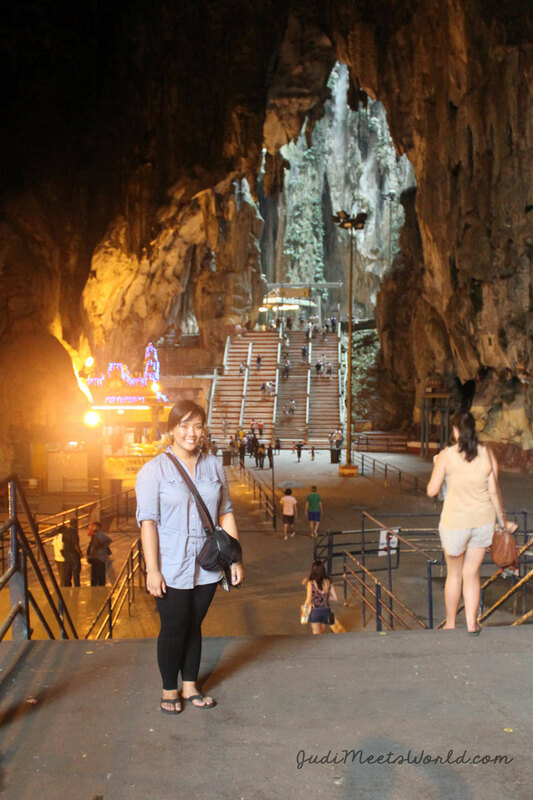 The Batu Caves are a must-see if you’re ever in Malaysia. And all those steps? Trust me, it’s worth the climb. Meet Suntribe Travel Packing Cubes.